Pau and Janel come from big families from Pampanga, the Razons and Kos. 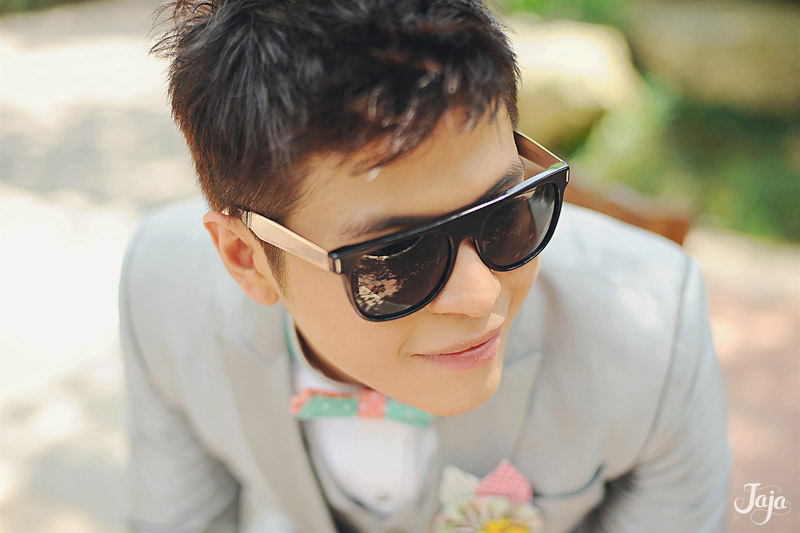 Still, they chose to have their wedding in Tagaytay, in a quaint little place called, Chapel on the Hill. This chapel has a small altar and is usually chosen for small intimate ceremonies, so it’s rarely full. 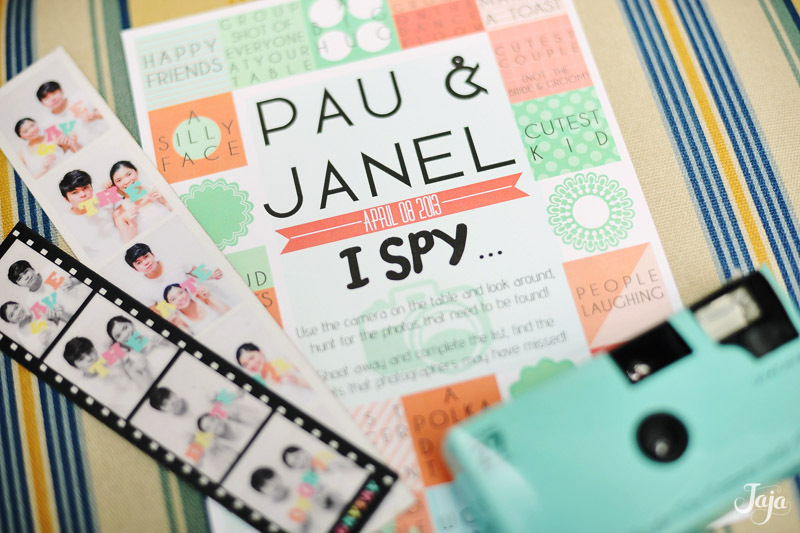 But on Pau and Janel’s wedding, it was filled to the brim! 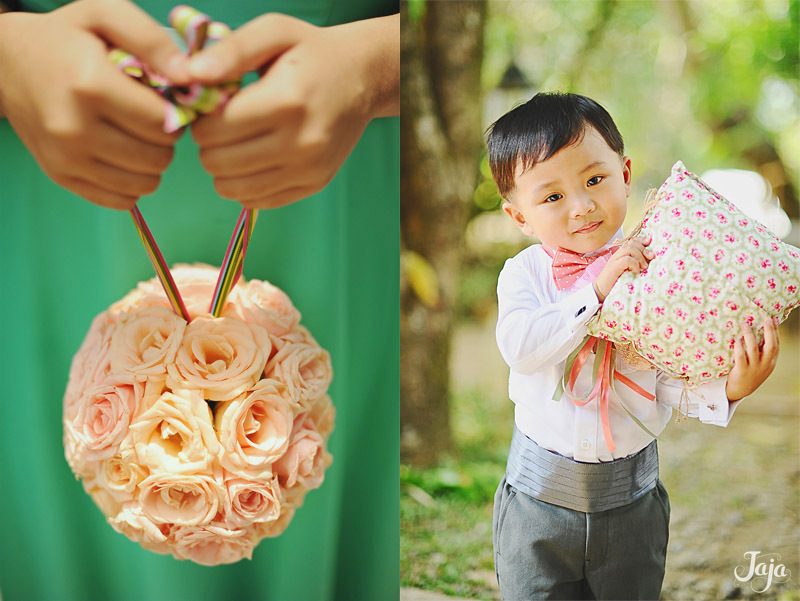 Practically their whole family came and overflowed the venue with love for the happy couple, even on a hot summer day! 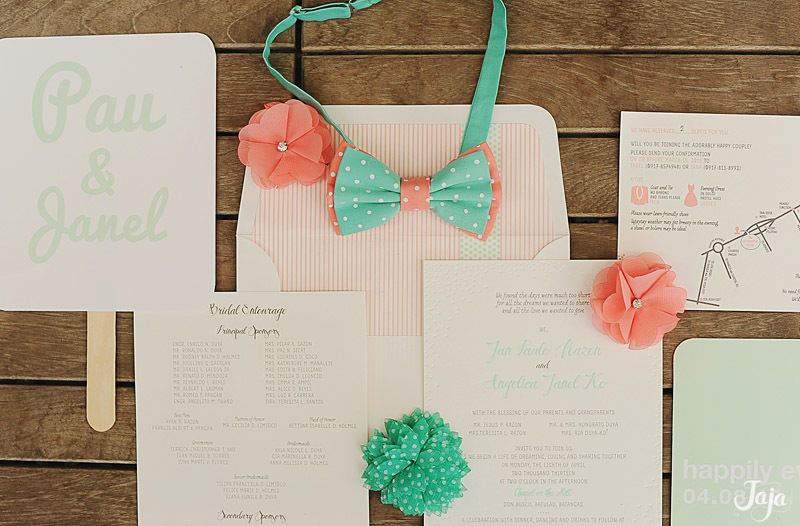 So much planning goes into weddings. From the booking of the venue down to which earrings the bride will wear. This couple had one of the most seamless weddings I’ve ever covered. It wasn’t even only the organizers doing all the work, but the entourage was also very helpful. And what a beautiful day that was! 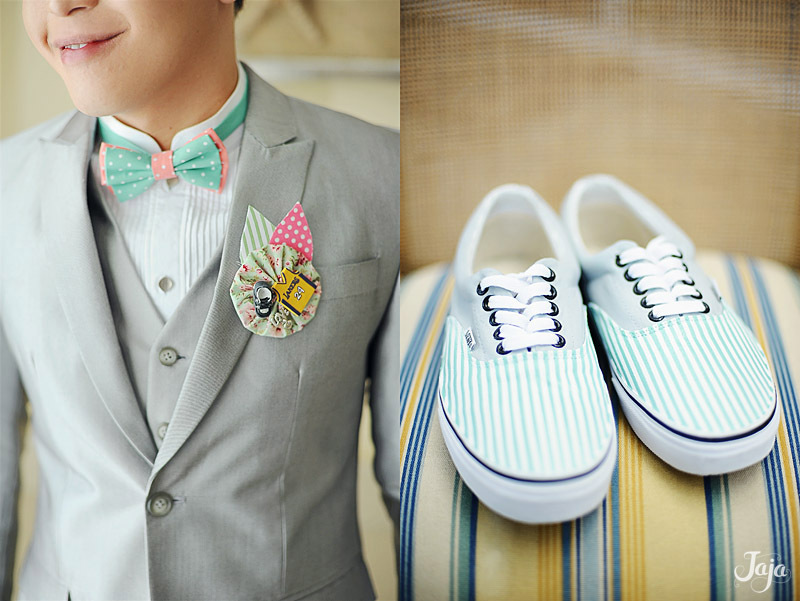 Especially with their chosen green and pastels color palette that went so well with the scenery. I’ll tell you, green’s no easy hue to use, with such a wide range!